Rhonda's Escape: Are You A Feminist? Feminism is a range of political movements, ideologies and social movements that share a common goal: to define, establish, and achieve equal political, economic, cultural, personal, and social rights for women. This includes seeking to establish equal opportunities for women in education and employment. Feminists typically advocate or support the rights and equality of women. 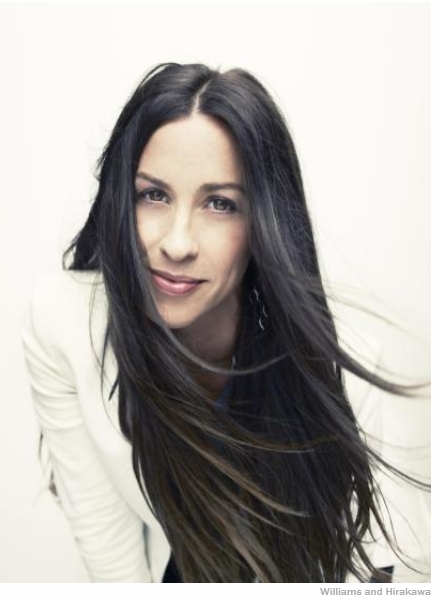 In a resent Time magazine article Alanis Morissette talked about what it means to be a feminist. Alanis Morissette is a singer, songwriter and advocate of female empowerment and spiritual, psychological and physical wellness. She recently launched her own podcast called Conversation With Alanis. Raging against the patriarchy is no longer the answer—we must empower both the masculine and the feminine. Often when I’m being interviewed about my career and music, I’m asked whether I am a feminist. What the interviewer means depends on who’s doing the asking and what their take on the feminist movement is. Sometimes it’s rhetorical. Other times, a thinly veiled indictment. My answer is always yes. I have never been apologetic about this, but rather deeply passionate. It is an honor to be considered a feminist. The concept of feminism to me is a mandatory link in a chain toward wholeness, cohesion, maturation and functionality—certainly the feminist movement is one of the most powerful means to this greater end. I do believe, however, that the definition of feminism needs some refocusing, redefining and updating for this modern time, and for this new generation, and that the movement deserves a reorienting, intentionality and re-envisioning for what is possible and how to get there. We need a revolution to the feminist revolution. And it needs to be brought to the fore of our awareness in order to heal what ails our times on this planet. And that is why I see the feminine movement as the next step in our evolution toward liberation on this planet. We bring the feminine up to her rightful seat. And the masculine to its rightful seat next to the feminine. This is my prayer. This is my wish. This is my mission. And it will require both the masculine and feminine qualities in me to continue to move toward it alongside so many other people with the same vision. May our steps continue to be guided by our vision of wholeness, connection and deep peace. Yes, I think I am a feminist! Yes, I am a feminist and proud of it.